Garrett Naiman, incoming dean of students and associate vice chancellor for student development and engagement, comes to campus with a strong focus on diversity and a long history of working for inclusion. Naiman begins on Sept. 4. T.M. Robinson-Mosley has been serving as interim dean of students since January 2018. Naiman’s home base will be in the Dean of Students Office in Hahn Student Services, but the campus community can expect to see him on the move, roaming across the campus meeting with student groups. The dean of students position is part of UC Santa Cruz’s Division of Student Success. The dean of students listens to concerns; promotes wellness, leadership, volunteerism, and cultural competency; and encourages students to connect with services, programs, and resources, from event planning to volunteer opportunities and support for basic needs. 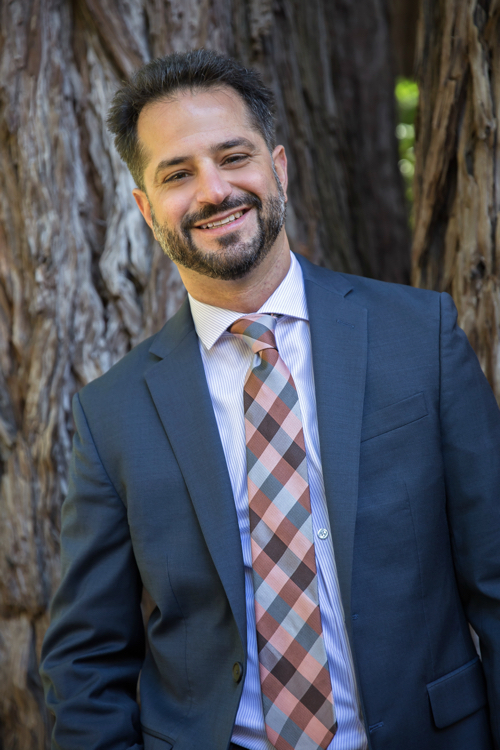 Currently, Naiman is executive director and chief of staff of UC Berkeley’s Center for Educational Partnerships, promoting equity and inclusion on campus. He supports 11 campus programs that assist college-bound first-generation, low-income, and underrepresented students. Before taking that job, he worked for the Office of Admissions at UC Santa Barbara and in the Early Academic Outreach Program at UC Berkeley. Naiman went on to earn an M.Ed. in higher education and student affairs administration from the University of Vermont. He also holds a doctoral degree in international and multicultural education from the University of San Francisco. Stevenson College Provost Alice Yang, part of the hiring committee for the dean of students position, said Naiman distinguished himself in a field of highly qualified candidates. The hiring committee, which consisted of faculty, staff, graduate, and undergraduate students, was very impressed when they watched Naiman meet and talk with students at forums across the campus, Yang said.